Dearly beloved, we are gathered here, today, in the sight of the NSA, to join my thoughts with your thoughts in a somewhat semi-holy-like bond of conversamony (I made that up). If there is anyone logged on who objects to this union, please comment now, or forever hold your peace (or just click the red “X” at the top right corner of your computer screen). Do elk talk? I have no idea. I’m sure they have some sort of language with which they communicate online and in their lodge meetings, but I know little of what it may sound like. 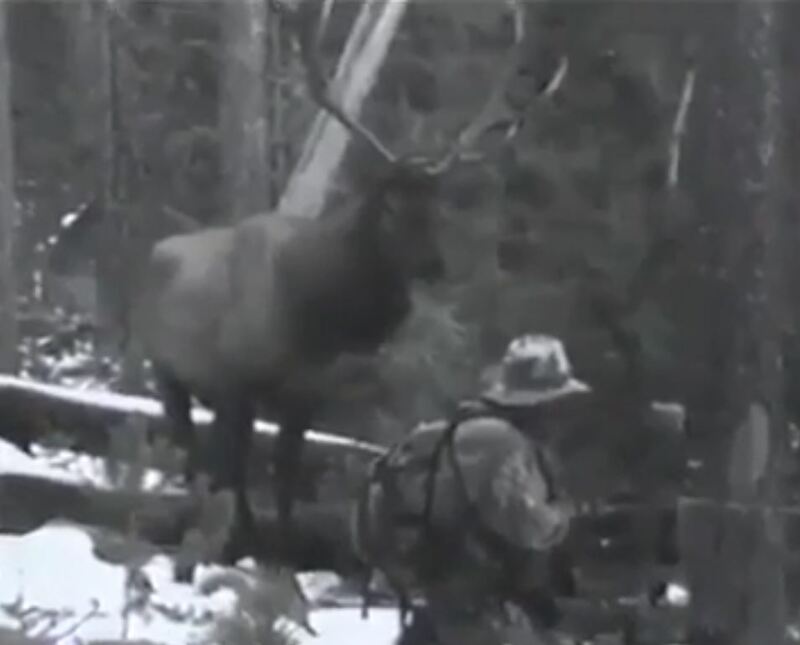 However, I could not help but ponder what THIS elk might have been thinking or saying quietly under his breath while staring down a hunter. What Does the Elk Say? What Does the Hunter Say (or think silently to himself)? Maybe this is why I never hunted anything bigger than squirrel. Yesterday, in a longer post than normal, I told you a little about my trip to the beach. This time I would like to share one more thought that I had (thanks to my wife). Could anyone look more like a tourist? The only thing missing from this picture is a big camera hanging around my neck. Here I am, standing in the ocean, not wearing a bathing suit, tan challenged, looking down at water containing critters that could eat me. This is not a picture of a native. Before I tell you what I was thinking while standing on the beach, let me first tell you about something else. One of the highlights of my trip to Charleston was our visit to the USS Yorktown, the famous WWII-era aircraft carrier. I felt like a kid in a toy store! Believe it or not, being that I am from Tennessee, up until seeing the Yorktown I had never seen a real ship in person. Oh, I have seen some big boats go up and down rivers, but never something this big – not even close. And to think, this aircraft carrier is small compared to the new ones! Needless to say, I was tremendously impressed – I even got chills. 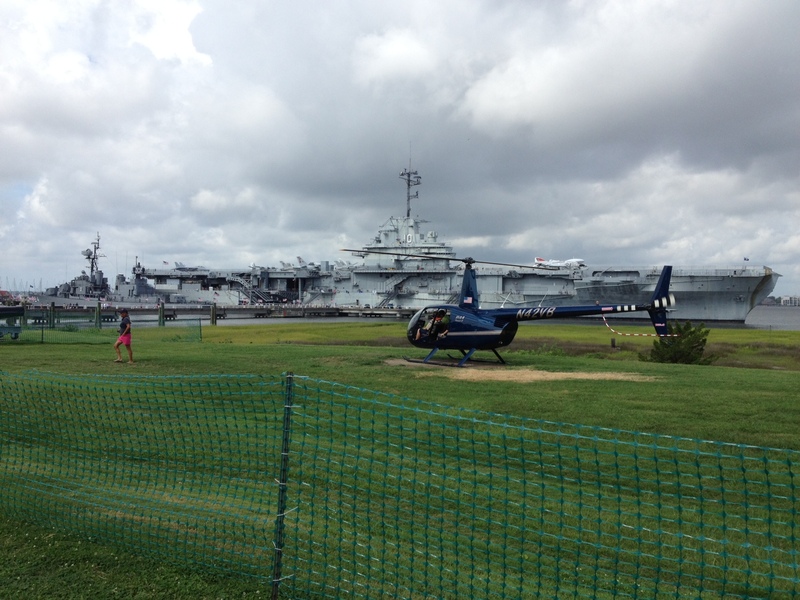 It took us several hours to tour the Yorktown, not to mention the USS Laffey (a destroyer) that sat next to her. If I had had my way, and if I had had a little more energy and some money to spend on refreshments, I would have stayed longer. There was so much to take in because of the scale of these ships. They were huge! 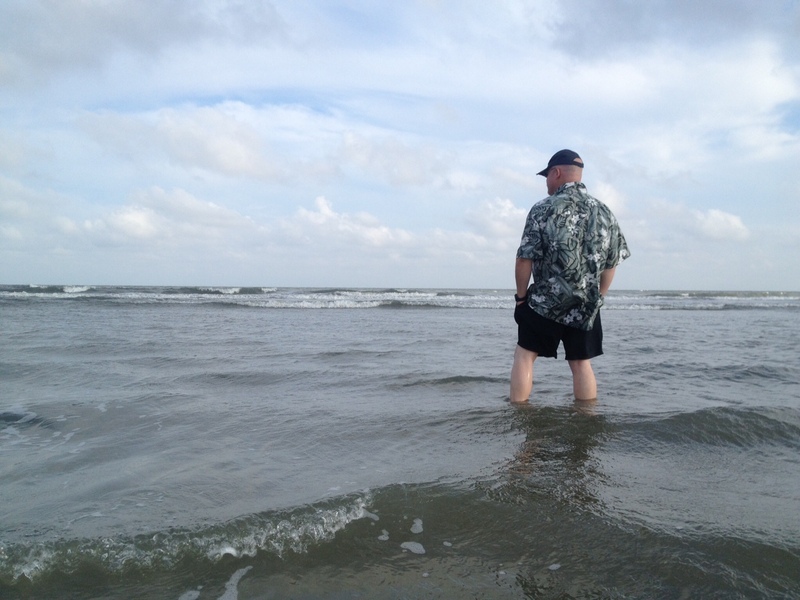 As I stood in the water, lily-white legs and all, I looked out at the vast expanse of ocean, looked up at the sky, and thought to myself, “Just think, God is bigger than all this!” The cargo ships and cruise liners could be seen in the distance, and they looked no bigger than a twig. The sky soared above them and the ocean and surrounded me. There was no way I could grasp its magnitude.